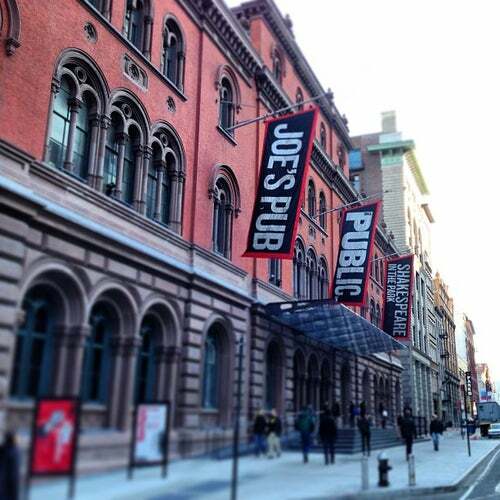 The Village Voice appropriately voted Joe's Pub the "Best Excuse to Let a Single Venue Dictate Your Taste." On any night you can catch unbelievable performances by artists like Suzanne Vega, Sinead O'Connor, Sandra Bernhard, Ute Lemper, Norah Jones. Enjoy a sumptuous dinner or just share a martini at the bar while you enjoy some of the best music and performance in the city. Seating method needs serious work. Save yourself trouble and reserve seating in advance, or suffer standing room only or hanging at noisy, crowded bar. What is the occupancy maximum here anyway?? ?